Trying to get this thread back up to date as family issues have kept me from updating over the last month or two. As I clean up the thread, I may be separating out some posts and locking so that this thread stays a manageable size (they'll still be available to reference). Do not be alarmed or discouraged if your post moves, I will be crediting all contributors (that I know of) and linking to the old comments. I got a B22 with PG Lagoona not PG Twyla. Now i'm off armed with the checklist to pick up some others that I need. Many thanks to those compiling the checklists. Did your codes start with 0 perhaps? There's a few reports of 0 codes starting to appear and they are different than the others! I don't think anyone has actually gotten PG Twyla yet. PG Lagoona has the same hair mold as Ghostly Twyla and keeps getting mixed up with PG Twyla I think. I went back to check which of my sources had used photos and you might be right. There's no photo evidence that it is Twyla, and they DO have very similar hair colors in the same mold. This might be one I'll have to check out myself. I'm going to the store later, I'll see if I can't find one. I'm sorry I went and double checked and the B22 I previously said was Pg Twyla does turn out to also be Pg Lagoona. The hair mold did throw me off. I checked by picture and mark in the eyes this time. Sorry again if I messed anyone up! Melissa rocks for starting the thread and you rock for that spreadsheet! May I post on MonsterHighChecklist.com with a link back to the forum? Also, I went to the store and bought 7 new minis successfully using my spreadsheet. 3 old releases, 4 new. I did not happen upon B22. I would just like to add that I too got powerghouls Lagoona for B22 from list 2. She has the same hair color as Twyla's normal hair. 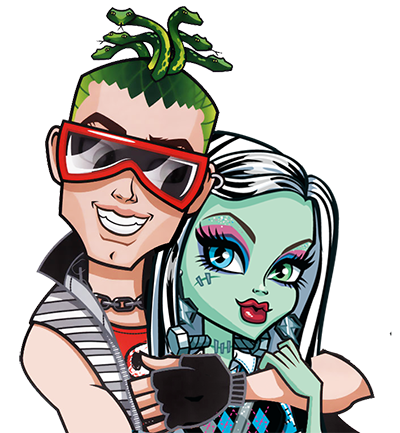 We talkin about the PG Twyla code being PG Lagoona? If so then count me in that boat, same happened to me. Easy mistake though, they do look a but similar at first glance. My Walmart just got in a new box and it's the 211- and 215- series. Anyone have any info on what's in those? Thanks so much for the minis help so far! You might want to start off just buying one but I think it would be safe to assume they follow the same pattern as all the others found so far. I'd like to confirm that 21160B21 is Candy Ghoul Cleo, as I just got her today. I went armed with the lists, but found two 211- series and took a guess that they followed the others in the 186-209 series. I couldn't fully read the last number in the other one they had, but I figured B21 was CG Cleo and I was right. Do we have a complete list of the 211 and so forth ones? My local Target had some of them but I didn't think a codelist was created yet. What did their codes end in and are you prepared to do a research project?